Collections of postcards and historical postcards have great potential. Many heirs are unaware that their postcards are of interest to collectors. Good prices are achieved for postcards. Many collectors buy from ignorant people and then sell the postcards at very high prices. The triumphal march of the postcard began in 1870 – it was much cheaper to send than a letter. For the sale of old postcards and field postcards there is a new marketplace on the Internet. Our readers have had good experiences in this respect and were able to achieve top prices. After registration you will be assisted by qualified experts and even notaries. Postcards were originally business cards, but were later also used for personal messages and congratulations. From 1871, Deutsche Post also sold postcards. When in the 20th century tourism and travel flourished thanks to the railway, the postcard boomed. This is much more than a message. It is memory, historical witness and means of communication. The sometimes elaborately designed postcards offered the possibility of a representative storage. If you want to sell a postcard or a collection of postcards, you should consider some special features. Card collectors only pay high prices if the postcard is in good condition. Avoid scribbling on the postcard. If the back is labeled, the font should under no circumstances be changed or supplemented. Never remove the stamp, even if you could sell the stamps individually – this inevitably leads to a considerable loss in value. Basically, stamps cannot be replaced by a postcard without damage. These are also proof of the age of the postcard and its history. The front of antique postcards very often consists of simple cellulose. This should never be wiped off with a damp cloth, as the water could damage the material. Use a brush to carefully remove dust deposits. If the postcard is in a cover, you should not remove it. The layman doesn’t know which postcards are valuable. In order to recognise a collector’s item, the observer must have historical knowledge and extensive experience. The popularity of a postcard increases when it is produced in a historically significant period. The rarity value increases if the sender was a historical personality. However, it is not the case that only very old postcards are valuable. As with any collector’s item, the value of postcards depends on supply and demand. A hand-painted postcard by a well-known artist can bring in a high four-digit amount. Even if the card only three or four years old. A photo card from the 1950s is usually more valuable than a beautiful card from mass production. The value of a postcard is higher if it is in the best possible condition. Probably the most expensive postcard in the world was a hand-painted and humorous postcard from 1840, bearing the rare Penny Black stamp, which was auctioned in London in 2002 for around 50,000 euros. 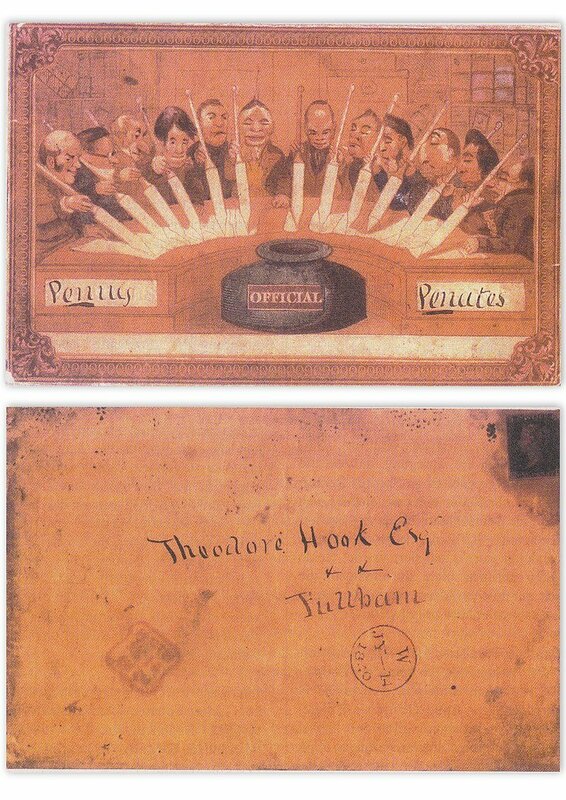 Very rare and extremely popular postcards are those from the last trip of the Titanic. On board the Titanic was the then 18-year-old Anna Sköblom from Finland. She survived the disaster and brought numerous postcards ashore. Thus, it later achieved top prices at various auctions. This is probably the proverbial “happiness in disguise”. A postcard of the Titanic was auctioned at Sotheby’s in London for 20,000 pounds. In 2010, a field postcard was sold at the 109th auction of the Württemberg Auction House: This achieved a proud auction price of 30,000 euros. The artist postcards of the Bauhaus or the Wiener Werkstätte in particular achieve high prices. Rare top pieces are regularly traded at auctions from 10,000 Euros upwards. In June 2015, a postcard of the southern French city of Pau was auctioned off for 166,000 euros. If you want to sell a postcard or postcard collection, you should never edit or modify it. However, it is an advantage if you remove dust from the postcards. You should use a dry brush and wipe off the dust carefully. Never try to remove stubborn dirt with a damp cloth. If you own a collection of postcards, you should sell them as a set and not split them up. This is particularly advantageous for postcards from the same period. Some postcards are considered to be real rarities. If you offer several of these rarities as a complete package, the purchase price will increase drastically. If you want to determine the value of postcards, you can’t just buy books. There are too many postcards and motifs that could not possibly be reproduced in one work. Since the price is determined by the demand, the purchase price of postcards changes permanently. If you want to learn more about printing processes, storage and well-known publishers and enter the world of philocarty. The value of a postcard is influenced by various factors, in particular the subject, the sender or recipient, the condition, the age and the franking. Cards from the period before 1895 are particularly valuable, since the mass production of postcards only began in 1955. The price depends on the condition of the postcard and the presence of a stamp. The location of the subject is of paramount importance, as is the rarity of the subject. We recommend that you have the value of a postcard estimated by an expert. Otherwise you run the risk of selling your postcard far below its value. If you want to sell your old postcards, you should think carefully about how to do it. Old postcards are collector’s items that fetch high prices from the right buyers. Most individuals, on the other hand, would buy a postcard for a comparatively low price. Catawiki.com is a specialized platform, which specialized in unusual objects. Every month it unites over 14 million potential buyers from all over the world. Among them are many antique dealers, art lovers and postcard collectors. When you sell your postcards on Catawiki.com, you are competing with real enthusiasts to bid on one of their coveted postcards. At Catawiki.com you have over 193 specialized experts at your disposal who appreciate the value of your postcards. This avoids the risk of selling your postcards at a much too low price. Payment is secure and will be made immediately after the auction. Collectors benefit from a fast dispatch of postcards – these are dispatched within three working days. Remember that you can reach bidders from all over the world. Especially art galleries and museums with a strong financial background. Register as a supplier at Catawiki. Registration is free and without obligation. Have postcards appraised and appreciated by experts. Release postcards for auction with more than 14 million interested parties. Secure payment received. Catawiki handles the payments for you. You would like to sell your postcards yourself and save the commission? No problem! There are pawn shops, flea markets and sales platforms such as eBay. However, you don’t know the value of your postcard. Even if there are specialists there, they will try to maximize their profits. Therefore, you must not assume a truthful assessment. At Catawiki.com the opposite is the case. The proven experts guarantee a reliable and solid assessment. They want to sell your postcards at the highest possible price. The problem with traditional sales platforms lies in their lack of specialisation. On eBay you will hardly meet any real collectors who are interested in your postcards. The same applies to flea markets where random visitors pass by. You only achieve good prices if you serve your offer with a high demand. You achieve this by putting as many prospective buyers as possible in competition. The bidding war automatically ensures that the best possible purchase price is achieved. On Catawiki.com up to 14 million visitors who are interested in your postcards romp around every month. Benefit from a system that works to your advantage.